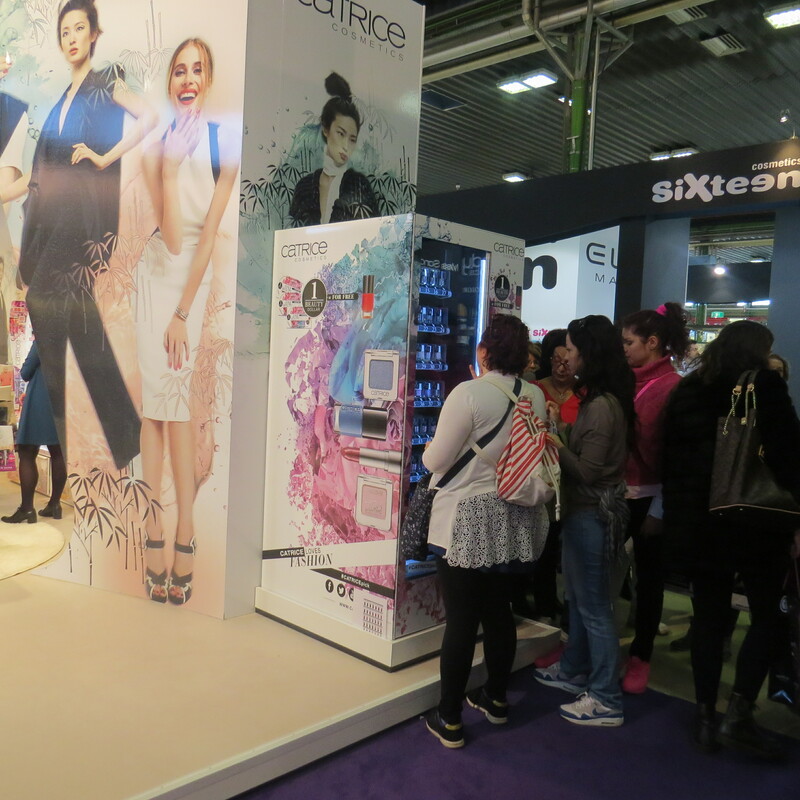 Last weekend I was in Italy to attend the biggest C&T trade show in the world: Cosmoprof Bologna! 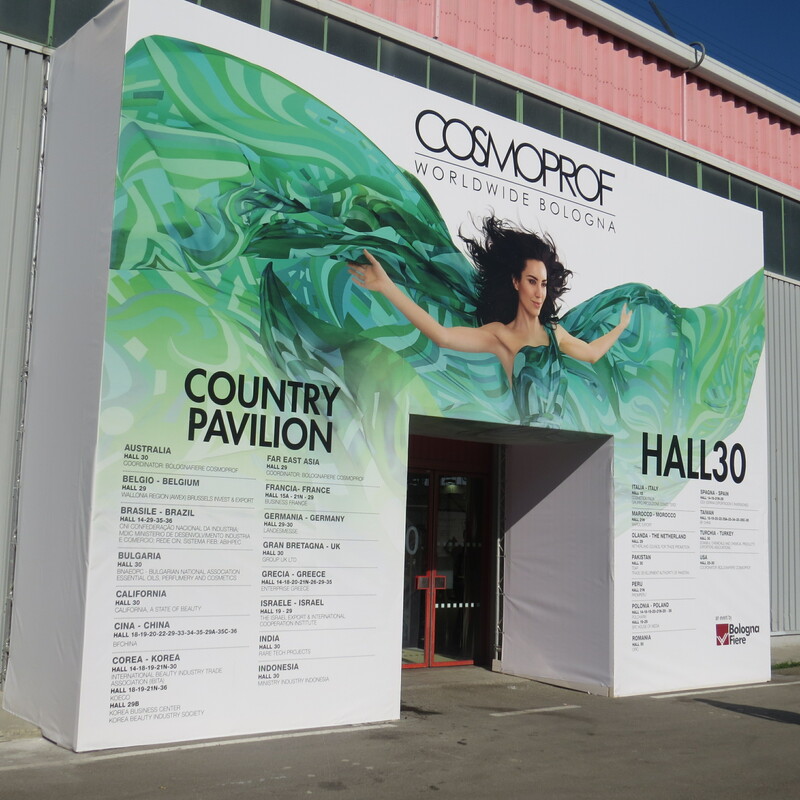 It was my first time at the Italian version of Cosmoprof; I’ve visited Cosmoprof Asia in Hong Kong (here are my articles about Cosmoprof Asia 2014 and Cosmoprof Asia 2015) but Cosmoprof Bologna is another experience altogether. In three words: it is gigantic! 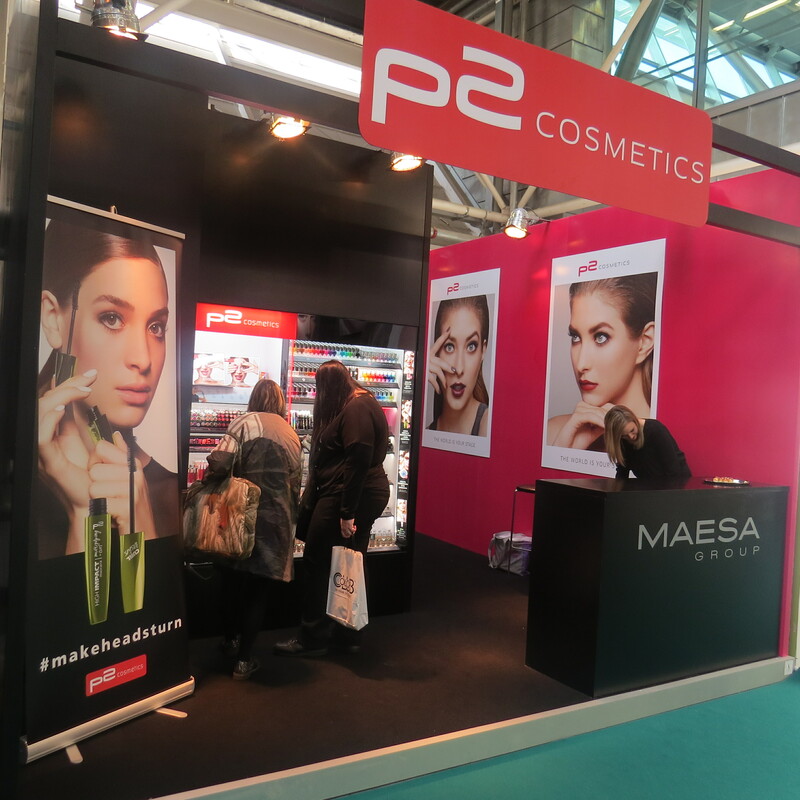 Cosmoprof Bologna (18th-21st March 2016) took place in conjunction with packaging/ingredients trade show Cosmopack (17th-20th March 2016). 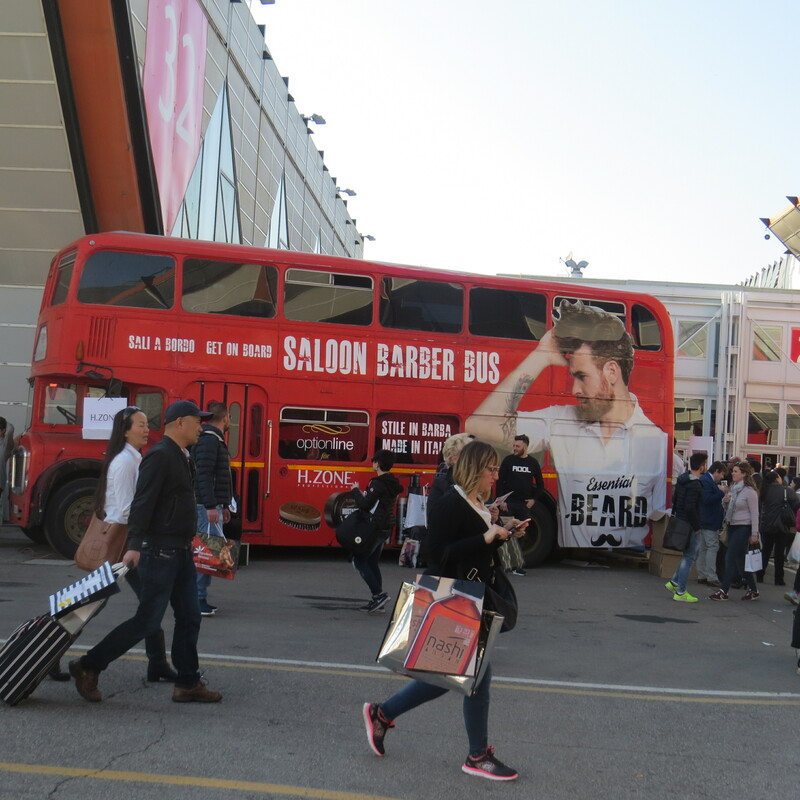 With more than 2,500 exhibitors from around the world (73% from outside of Italy), 25 country pavilions, new trade show sections like Cosmoprof Wellness (spa beauty) and the 1st Cosmoprof Barber Show (barbering and beard care), it was a fabulous weekend. Read on for an overview of my favourite brand discoveries! I was at the trade show courtesy of German colour cosmetics manufacturer Cosnova – I’m currently writing a company profile on Cosnova for cosmeticsbusiness.com and was given the opportunity to interview CEO Christina Oster-Daum. Anyway, in order to maximize my two days at the trade fair I decided to focus on three key areas: the Green hall #21 (organic and natural beauty brands) and halls #29 and #30 (the country pavilions, including Korea and Taiwan!). On my very last afternoon I made a quick tour through a couple of the Hair halls and also managed a really quick visit to Nails but other than that my primary focus were the organic/natural and international brand exhibitors. 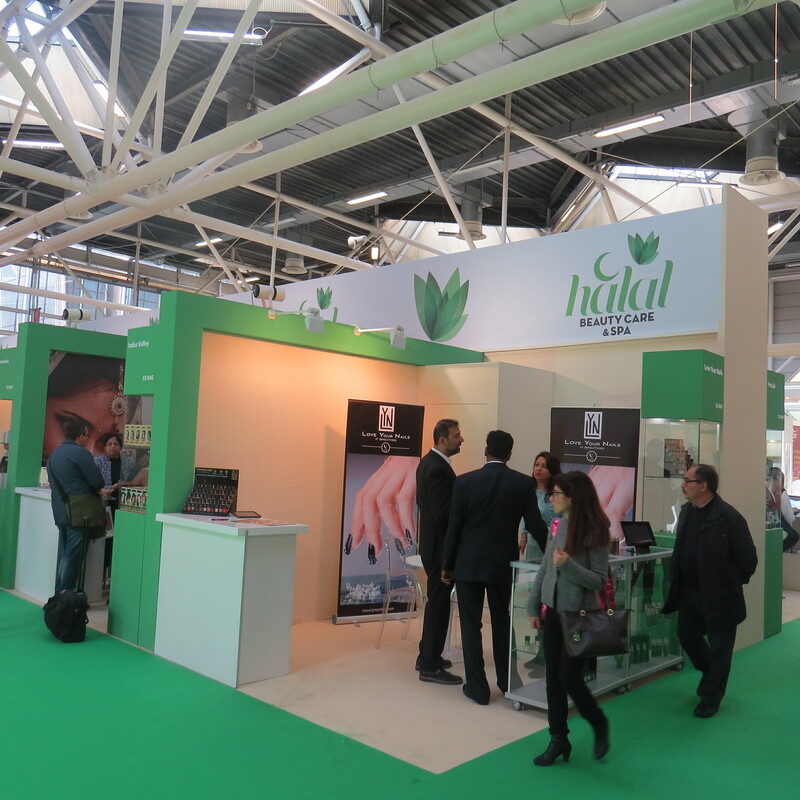 Which reminds me, another new trade show feature this year was the Halal Beauty Care & Spa section in the Green hall – very interesting indeed. Let’s start off with the Green hall. 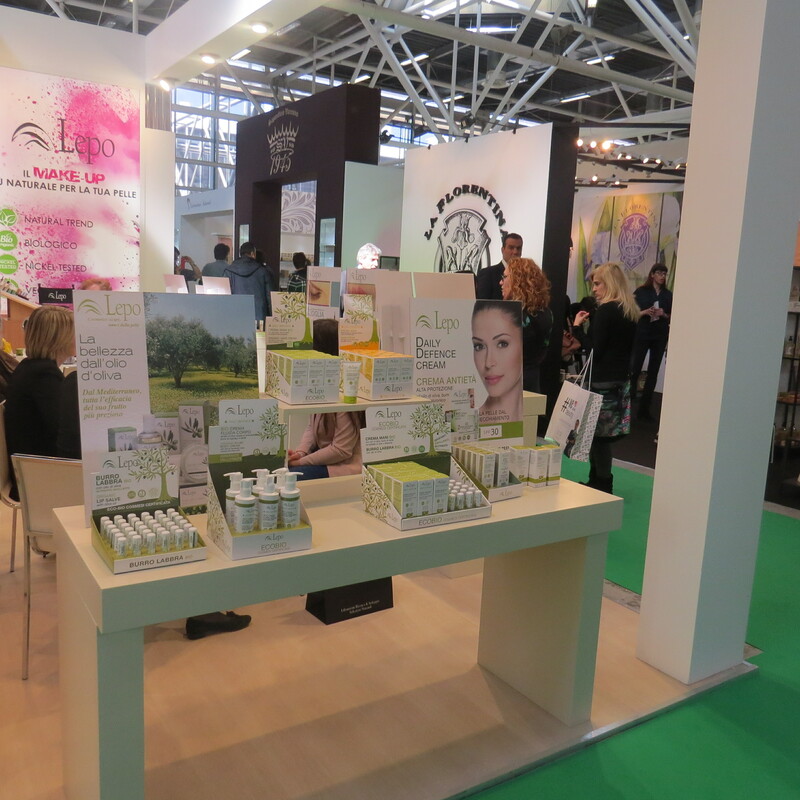 Organic and natural beauty is an international growth market and this was very obvious at Cosmoprof Bologna: there were some 170 exhibitors in hall #21. 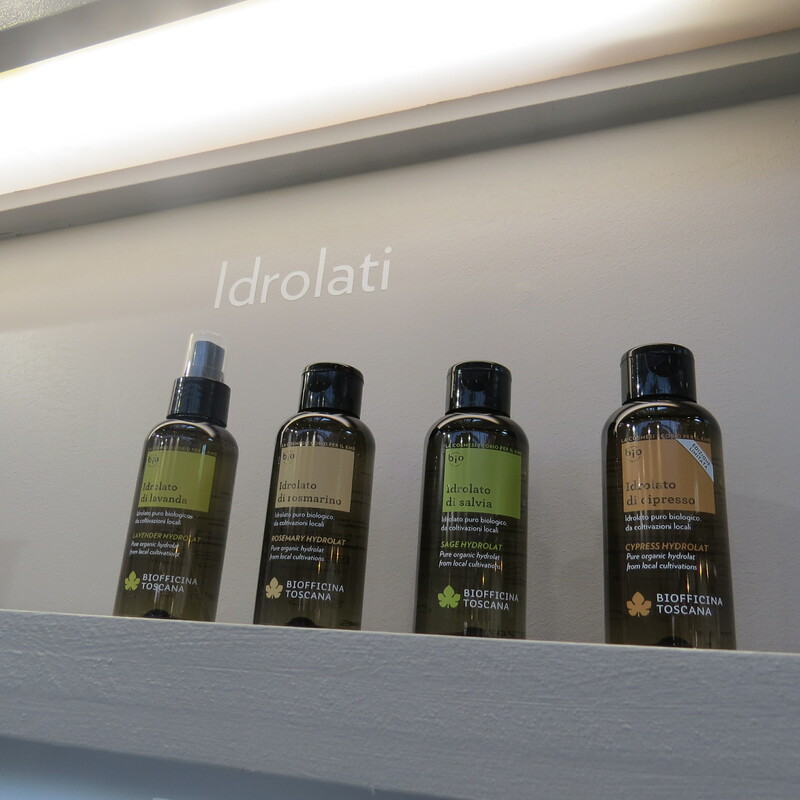 From what I could see most of these brands were natural-inspired rather than organic – like Italian soap manufacturer Nesti Dante, for example, skin and body care manufacturer L’Erbolario or the UK’s Somerset Toiletry Company. However, there were also a number of bona fide certified organic C&T brands like Zuii Organics from Australia, Lavera from Germany, aromatherapy brand Florame and soap manufacturer Najel from France, or fellow French brand Avril. 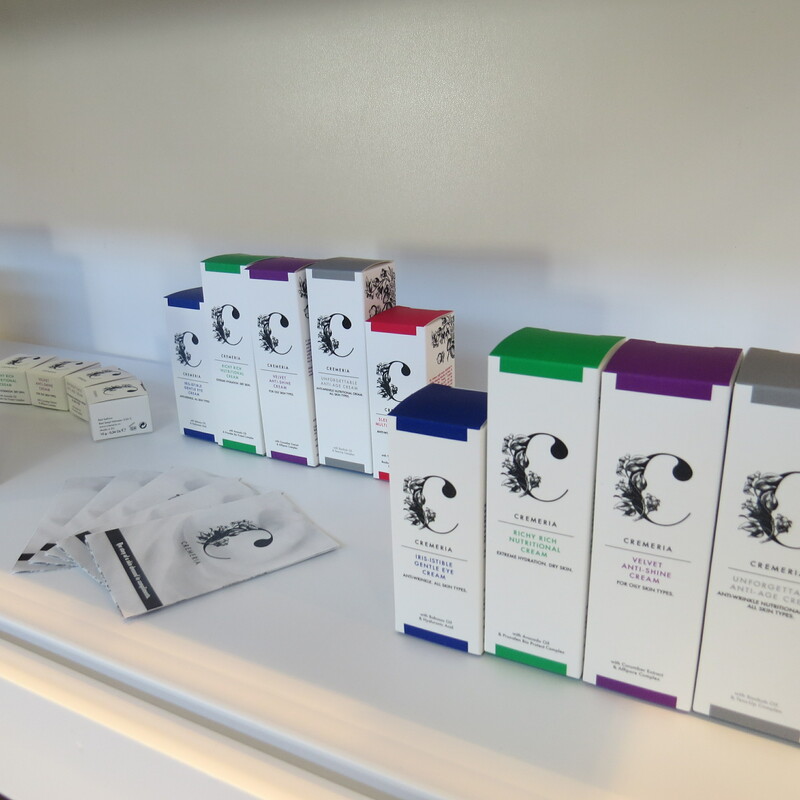 Avril was launched in 2011 and specialises in affordable and attractively packaged organic face and body care; the line-up also includes a comprehensive colour cosmetics portfolio. 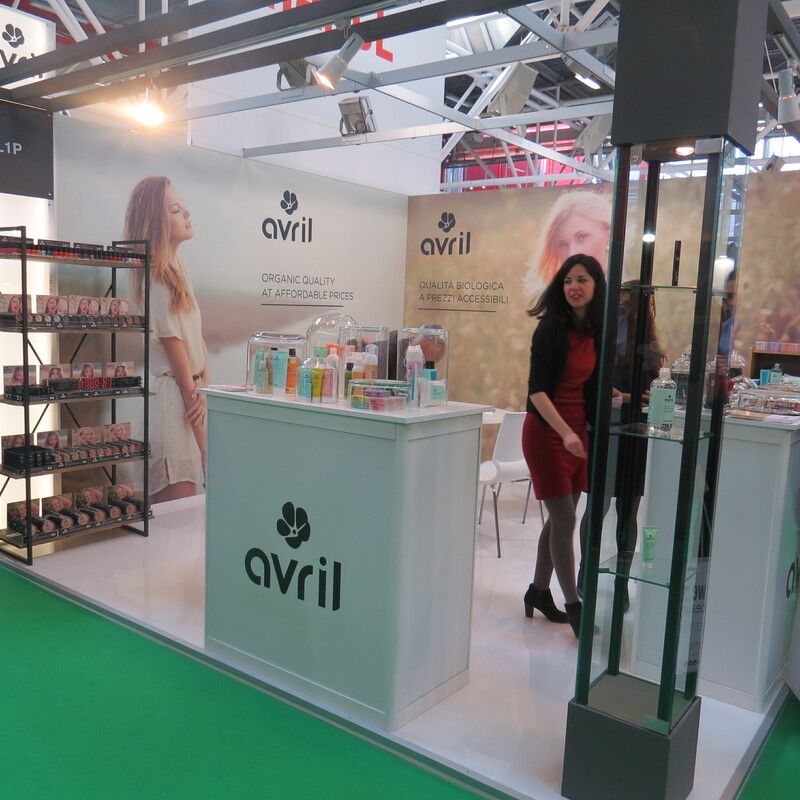 The company was at Cosmoprof Bologna for the second time; Avril has a young target audience although they are not really a teenage brand like Lady Green. I had already come across Avril on Beautyjagd blog so I was delighted to see the brand at the trade show and, more importantly, try out the products! 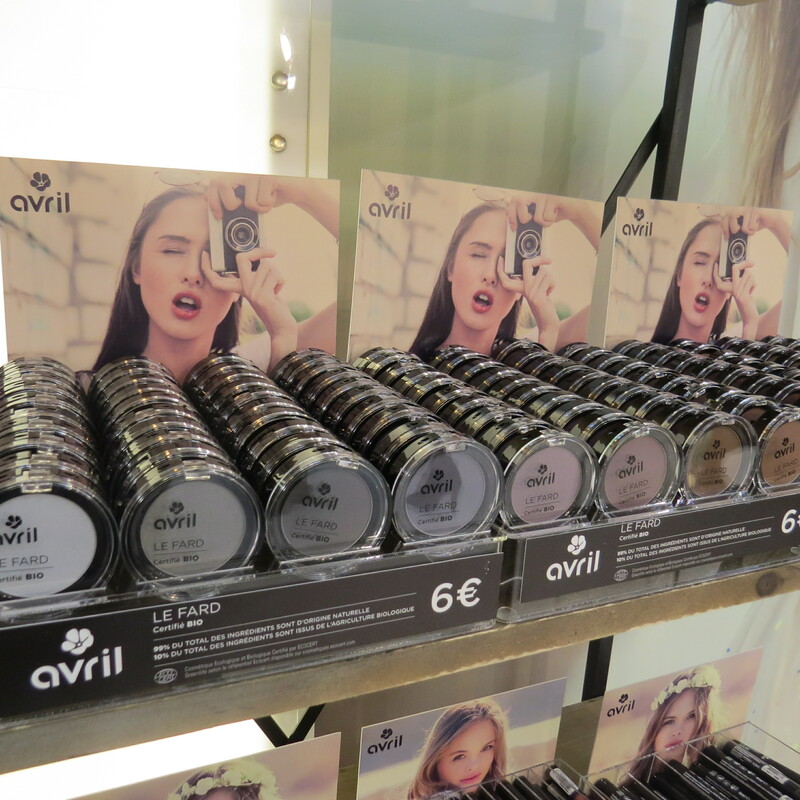 In France Avril is sold in parapharmacies, organic stores and beauty retailers and for such a young brand, they already have an impressive international presence: Avril is distributed in more than 20 countries across the world, including Japan (where the products are available in Tokyo’s ultra cool Loft department store! ), Taiwan, China and Hong Kong. Taiwan (December 2015) and Japan (January 2016) are the two most recent Asian markets. Avril is also widely available in Western and Eastern Europe: last year European online retailer Ecco Verde added Avril to its brand line-up so Avril has a solid European presence. The brand’s most recent launch in the face care range was the cleansing oil Huile Démaquillante, and in the colour cosmetics line-up there is a new range of soft, highly-pigmented lipstick pencils. 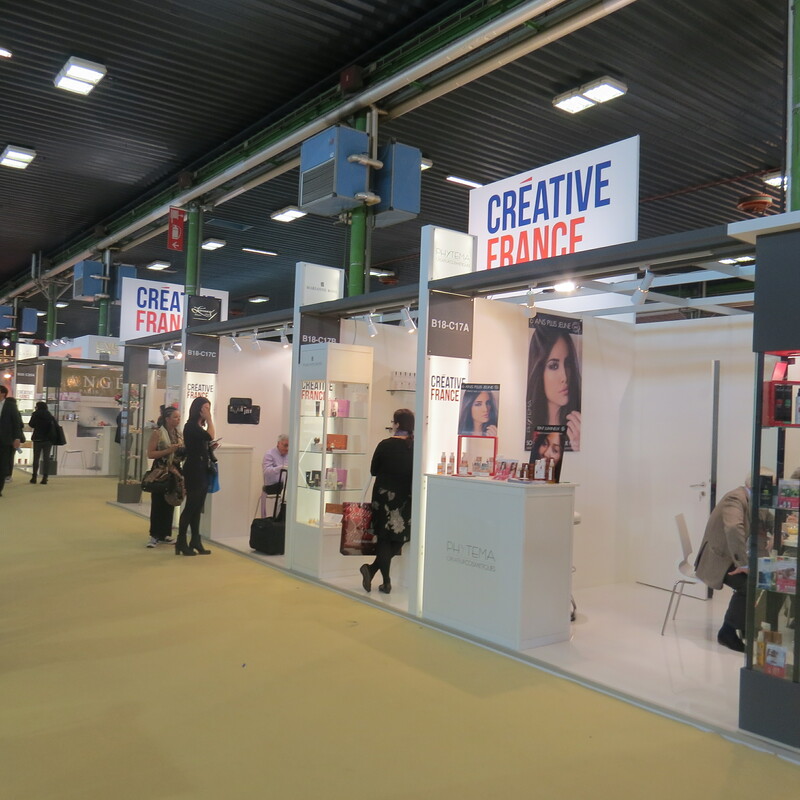 French beauty brands Marilou Bio (which I’d first met at Cosmoprof Hong Kong 2015) and Le Petit Olivier were also at the show, as was – of course! – Russian organic beauty company Natura Siberica. I had seen Natura Siberica last month at Vivaness 2016 trade show in Nuremberg so I was already familiar with their new product launches. 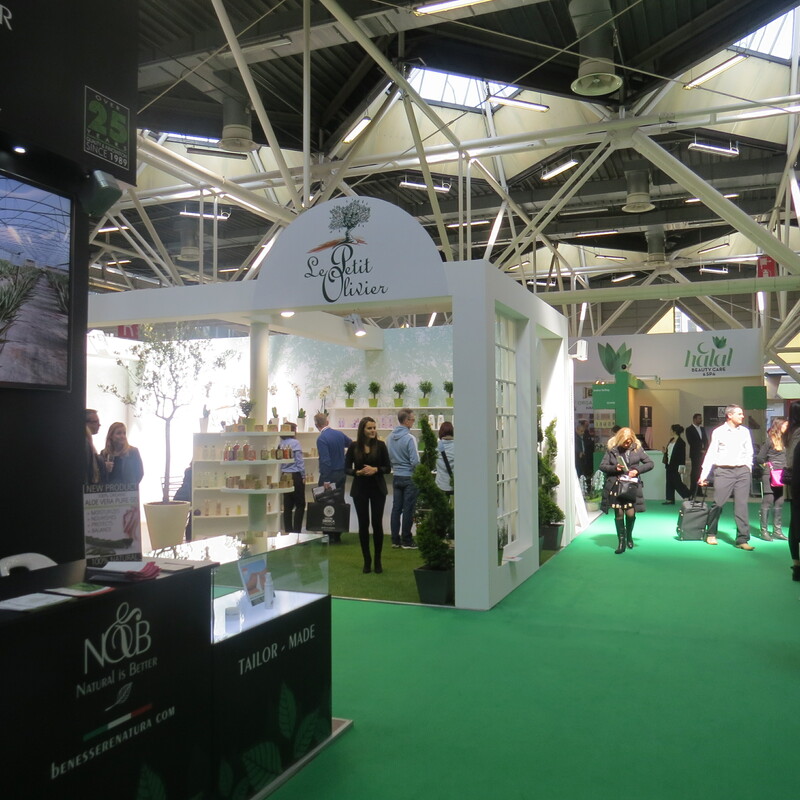 Just around the corner from Natura Siberica was the exhibition stand of Eurobiolab with a number of beauty brands including Natura Estonica and Organic Shop – Organic Shop is both a Russian organic store chain and a personal care brand. Although Eurobiolab is registered in Tallinn, capital of Estonia, the manufacturer actually belongs to Natura Siberica. This also explained why the Eurobiolab stand presented Natura Siberica’s new Oma Gertrude bath and body care range (check out my article about Vivaness 2016 for pics of this particular product range!). Presumably Eurobiolab is also the manufacturer of the Organic Shop products. According to Google Translate, Organic Shop operates a number of outlets in Moscow but also has stores in other Russian cities including St. Petersburg, Irkutsk and Nizhni Novgorod. Organic Shop’s online store sells brands like Dr. Hauschka, Logona, Weleda and Lavera from Germany, Botani from Australia; Badger Balm, Juice Beauty and Aubrey Organics from the US, Bema Cosmetici from Italy and, of course, Natura Siberica and its sub-brands Planeta Organica and Oblephika Siberica Professional. 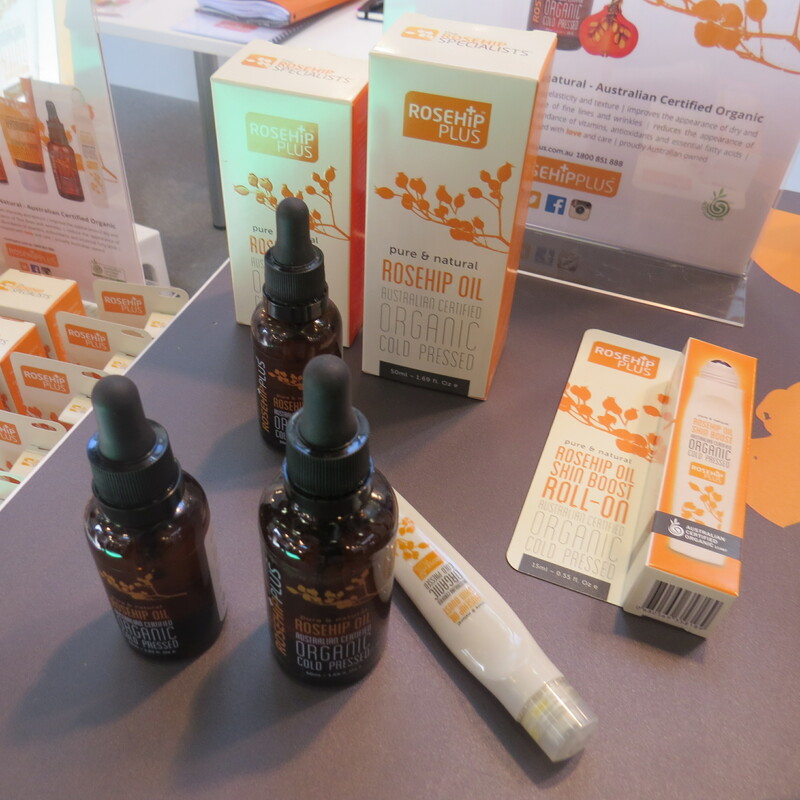 Also at the trade show was RosehipPlus, a certified organic brand from Australia which specialises in skin care manufactured with cold-pressed rosehip oil harvested from the South of Chile. 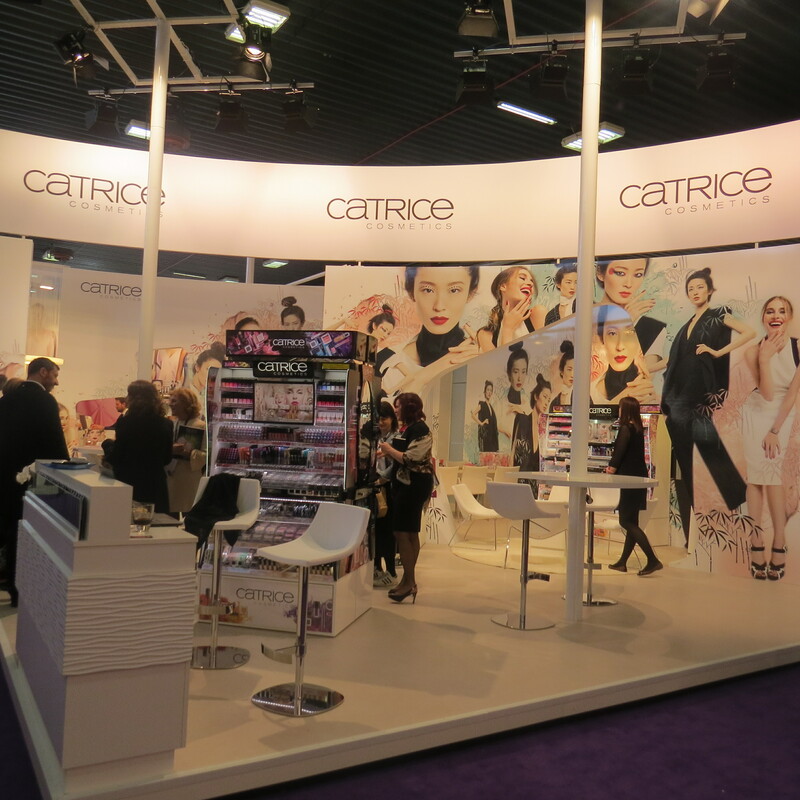 The company was launched in 2011 and they were at Cosmoprof Bologna for the fourth time. Nice-looking products: the range offers a day cream and a night cream, a rosehip face oil which is available in a glass bottle with dropper and as a roller-ball pen, and a cream cleanser which was launched in late 2015. I was told that RosehipPlus is already distributed in the US, the UK, Canada and Russia and they were in Bologna to look for European distributors. I already knew and liked Italian organic brand Bioofficina Toscana, a first-time exhibitor at Cosmoprof Bologna. The company is a regular at organic trade show Vivaness and the brand is also available through Ecco Verde, so it is fairly easy to order Bioofficina Toscana’s products in Germany. As the name indicates, Bioofficina Toscana comes from the Tuscany region of Italy. The company was founded in 2010 and all of its products are designed and produced in Tuscany. As many raw ingredients as possible come from regional sources and the company’s portfolio includes face care, bath and body care, hair care, men’s products, some children’s products and four hydrosols (sage, rosemary, lavender and cypress – my favourite was rosemary!). The brand’s latest launches are two hair care products, a hydrating spray and a protective conditioning cream. I was told that Bioofficina Toscana develops its own patented actives from Tuscany-sourced ingredients. Uviox complex, for example, is made from the skin of chianti grapes, Rubiox is produced from red berries, Oleox includes oil mill vegetation waters from local olive oil production and Setol is described as a medicinal complex manufactured from four vegetable oils. The company’s products are distributed in Japan (which also was the brand’s first foreign market! ), Korea and the US; in Europe Bioofficina Toscana is available in Switzerland, Spain and the Benelux countries and in Slovakia, Czech Republic and Bulgaria. 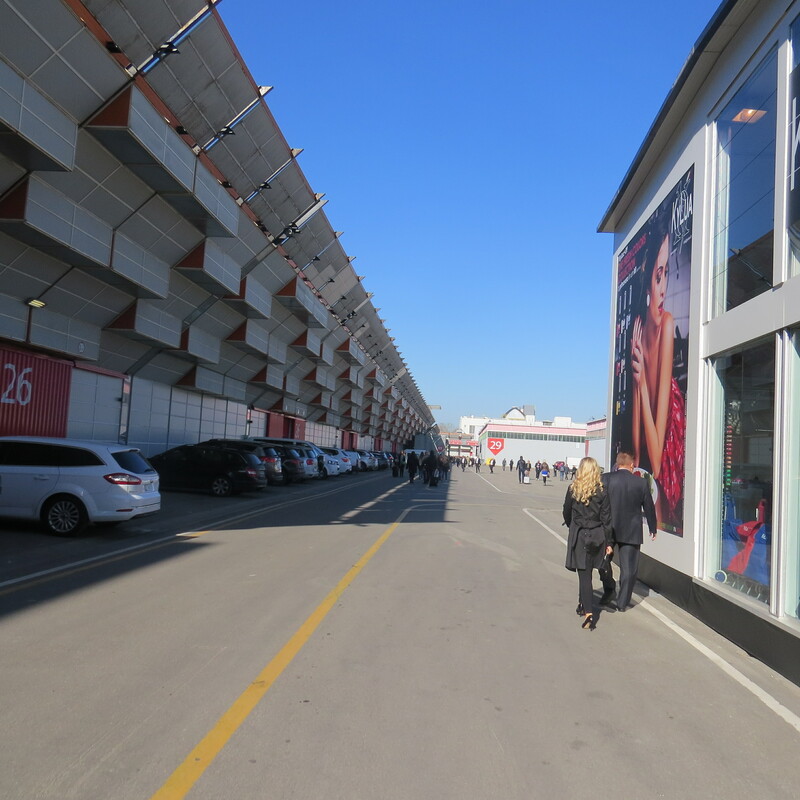 Right next to the Green hall was hall #22, Premium Perfumery. I was curious to see which companies were exhibiting there so I took a quick detour. It was interesting: the companies that were present in this hall were not quite what I would consider Premium (they were more masstige and mass market brands) but I saw a number of old acquaintances – Markwins Beauty, for example; German bath and body care manufacturer Bettina Barty, French Maesa group with make-up brand P2 (a big name in the German colour cosmetics market – P2 used to belong to Austrian lingerie brand Palmers until Maesa acquired P2 last summer), Gosh Cosmetics (colour cosmetics again) and Note. 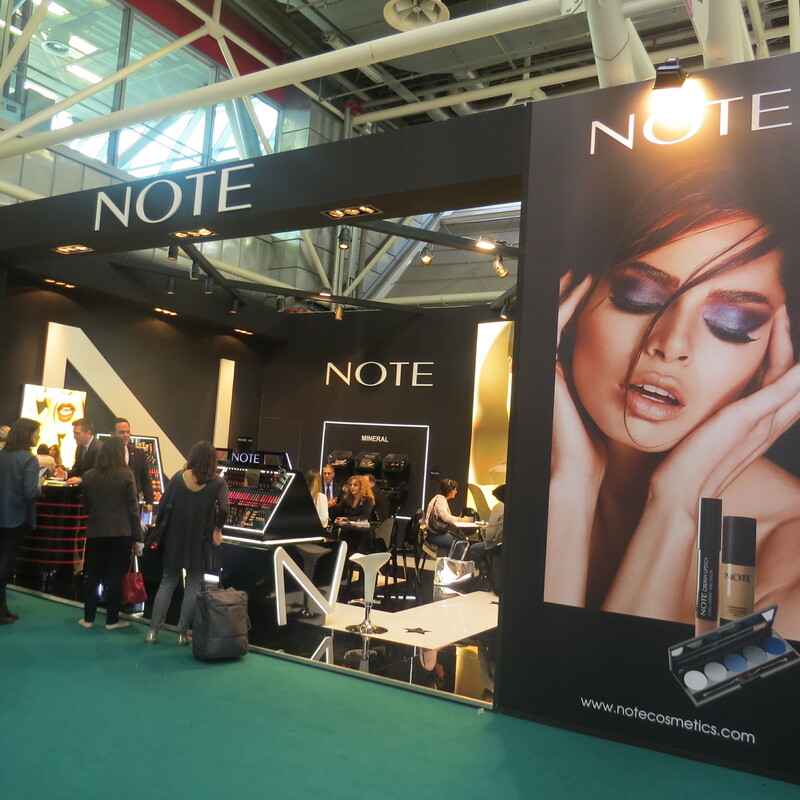 I knew that Note was going to be at Cosmoprof Bologna; it’s a new colour cosmetics brand from Turkey which I had seen at Beauty Düsseldorf salon trade show (click here for the trade show article) just a few weeks ago. Note will be launched on the German market soon; the official distributor is Glossybox, the Berlin-based European market leader of beauty subscription boxes. Then I walked over to halls #29 and #30 – the country pavilions. 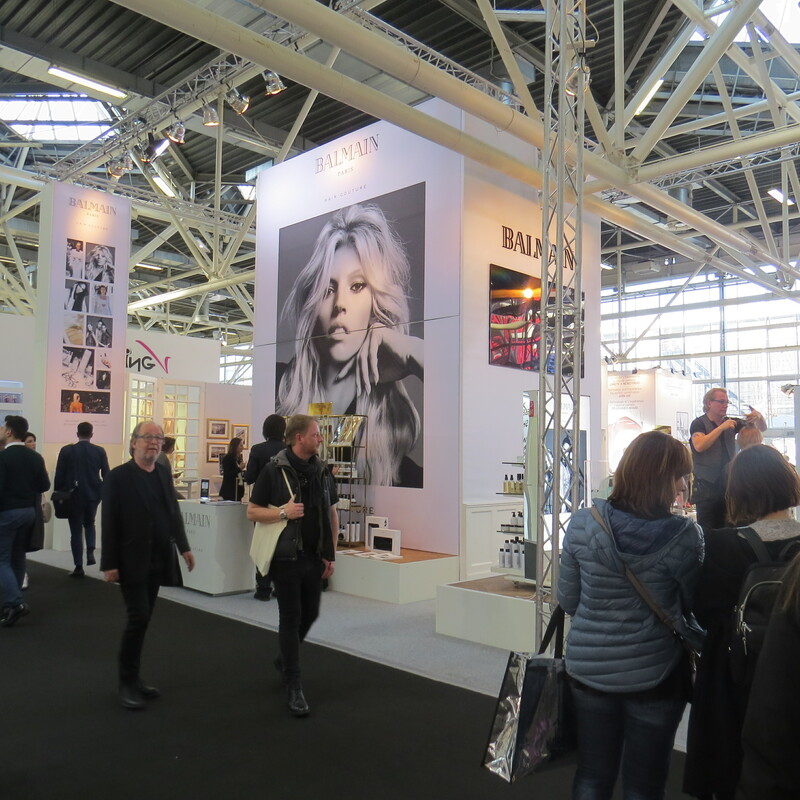 There were 25 national brand pavilions at Cosmoprof Bologna 2016 which ranged from gigantic trade show presences (Poland, for example,with some 100 companies) and the US with around 80 exhibitors to France with some 60 exhibitors, UK and Spain with around 50 brands and Germany with 40-odd companies – all returning exhibitor countries, by the way. 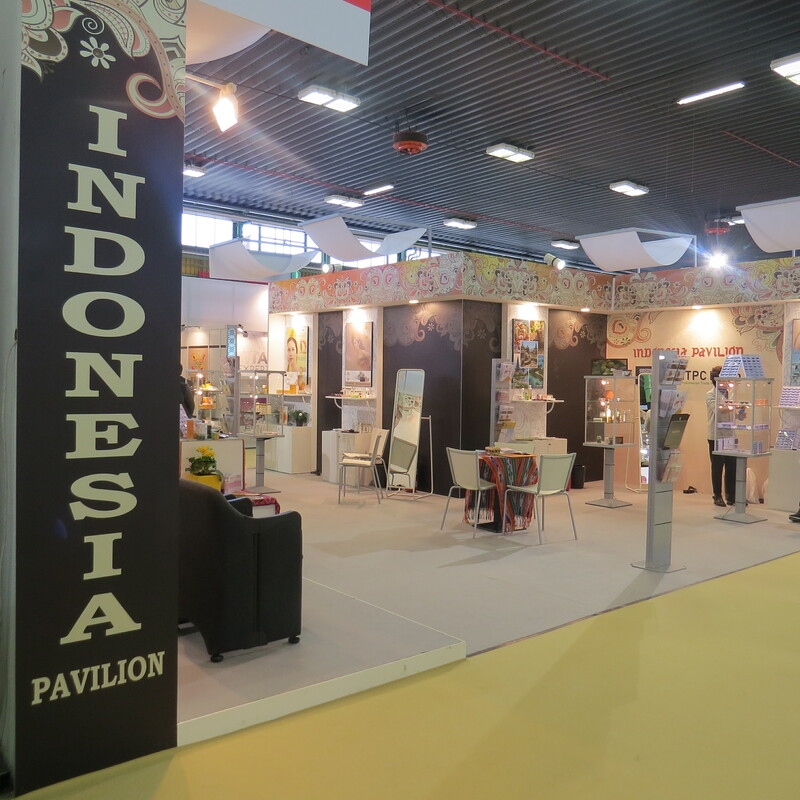 New country pavilions this year came from Australia, Morocco, India and Indonesia. 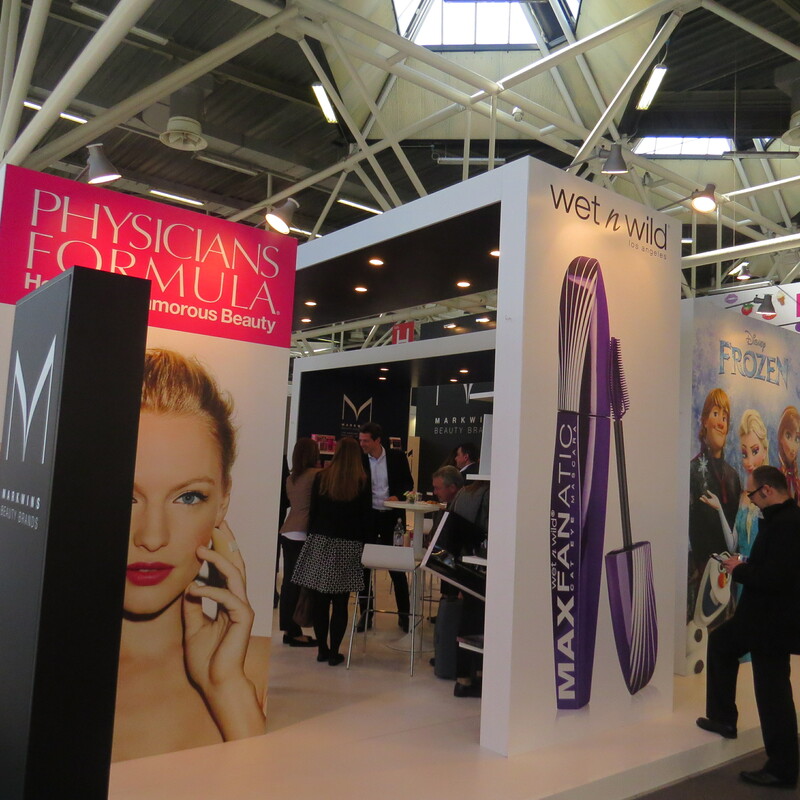 The German brands at the trade were an interesting mixture of companies: there were salon brands like Dr. Grandel group with Phyris and Grandel or nail brands LCN and Emmi-Nail, beauty and accessories manufacturers like Maxim Group and Accentra and smaller cosmetics labels like Herbacin and Frei Öl but also big mass market beauty brands like Cosnova’s Essence and Catrice. An Australian brand I was keen to meet was Eco by Sonya from Australia. 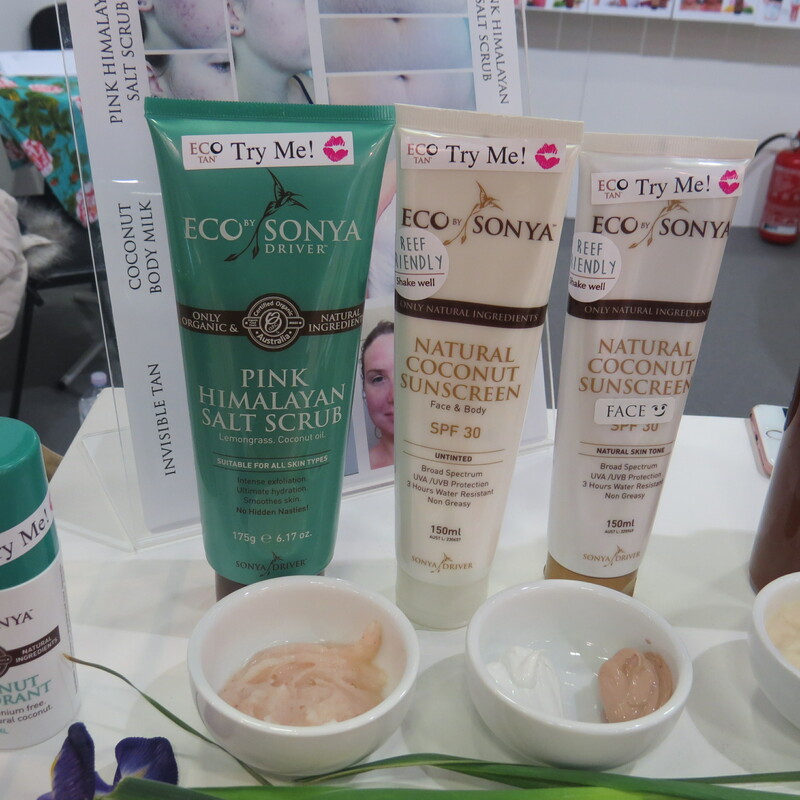 Launched in 2010, Eco by Sonya is famous for its certified organic sun protection and self-tanning ranges; although the brand is available in the UK, in Europe the products are mostly retailed online. 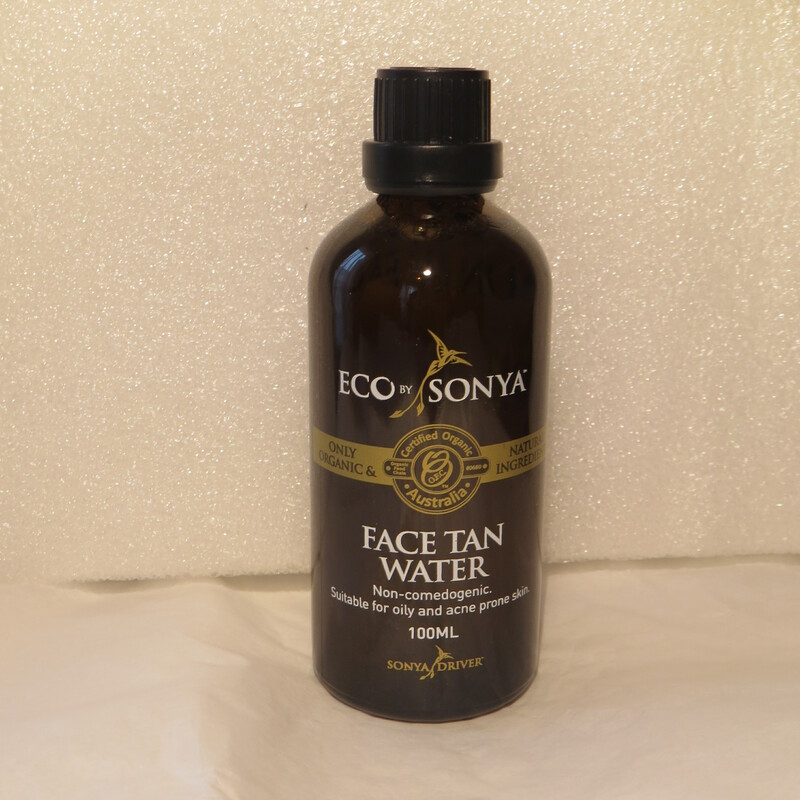 I had read about Eco by Sonya’s products on various organic beauty blogs (the self-tanning products are especially well-regarded) but had never had the chance to actually try them out. 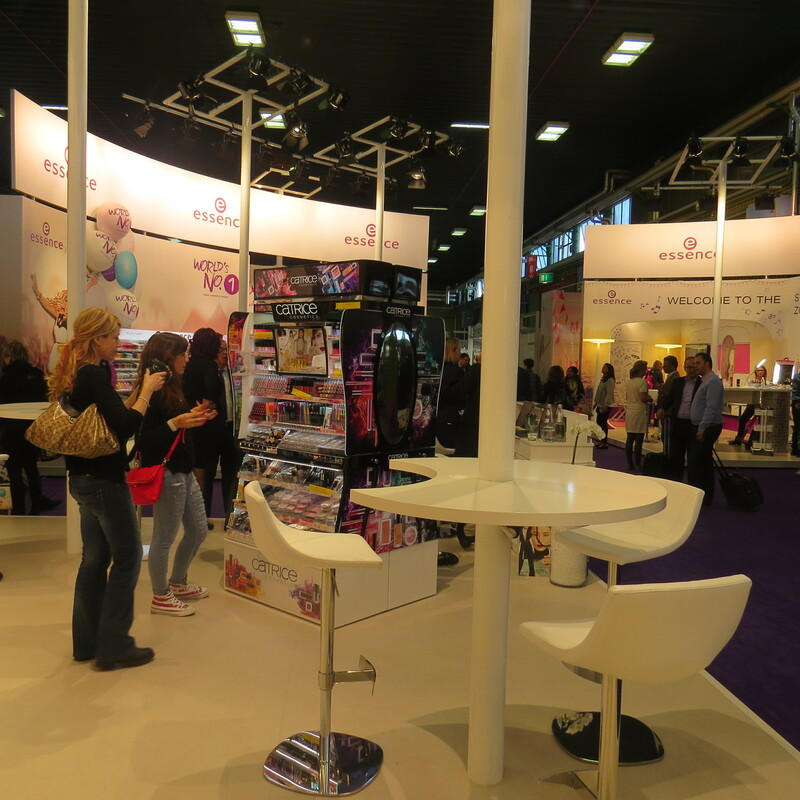 Luckily they were at Cosmoprof Bologna this year (a first-time exhibitor). The brand’s product line-up includes Foaming Body Wash with lemongrass and pink grapefruit, Body Wash shower gel with coconut and mint, Pink Himalayan Salt Scrub, Coconut Body Milk with moisturizing aloe vera, macadamia nut oil and jojoba oil, a coconut deodorant, tinted and non-tinted Natural Coconut Sunscreen creams with SPF 30 and, of course, the famous self-tanning products. The self-tan range includes Invisible Tan cream, the gradual self-tanning moisturizer Winter Skin, two professional self-tanning products for use in salons and the famous Face Tan Water. It’s one of their most recent self-tan launches: based on aloe vera juice, the product is moisturising enough to be a regular face toner – but it includes dihydroxyacetone and is said to give you a very gradual even tan. I can’t wait to try it out! Eco by Sonya’s latest product launch is Organic Personal Outdoor Spray, an insect-repellent body spray based on essential oils. Another interesting brand from the Asia-Pacific region was Bare: they’re from Singapore and the products are manufactured in Malaysia. Bare’s portfolio includes five body washes – Green Tea, Bergamot & Geranium, Lemongrass & Ginger, Rosemary and Peppermint – and seven shampoos (Sweet Almond, Horsetail, Grapefruit, Stinging Nettle, Chamomile, Birch Leaf and Apple). Stylish, simple packaging and invigorating fragrances. You can mix and match the body washes to create your favourite scent depending on what mood you are in. Bare is already available in the Philippines and Thailand and Taiwan will be added to the roster soon. 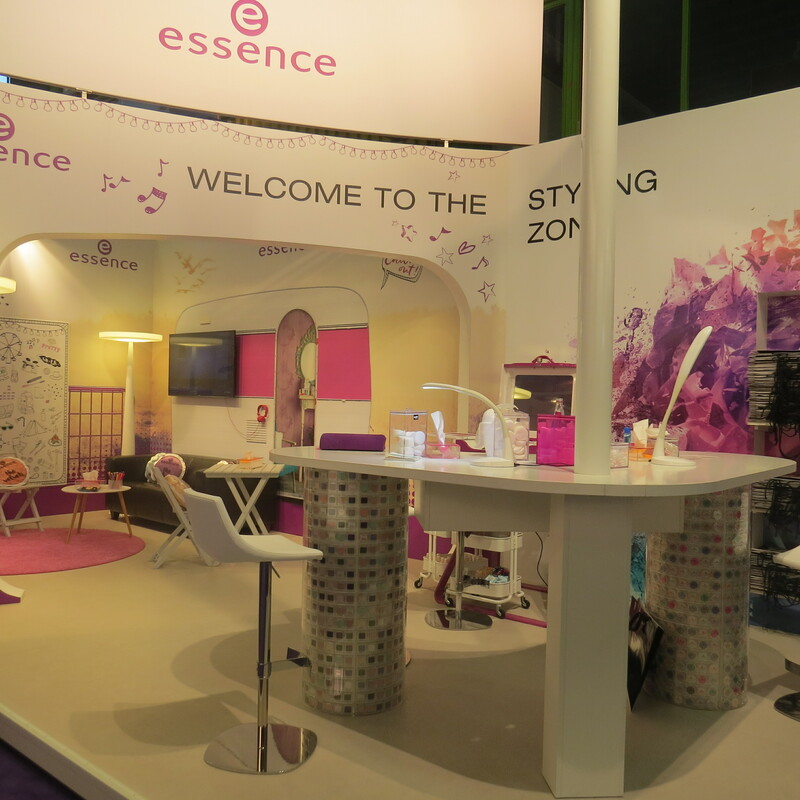 The company was a first-time exhibitor at Cosmoprof Bologna and is now hoping to expand into Europe as well. There were also two very cool organic brands from Romania. Cremeria was launched in late 2015; the company specialises in face care for a young, urban demographic. The current range includes a night-time serum formulated with a chicory-based ingredients complex, an eye cream with babassu oil and hyaluronic acid and three moisturisers: a rich face cream with avocado oil, a lighter face cream for oily skin with cucumber extract and an anti-ageing cream which includes baobab oil. There are also two new cleansing products: the Angel Kiss Cleansing Milk and Kissed by Rose Facial Toner. I liked the packaging design; it is simple and stylish. Panacea Urban Apothecary is another young brand from Bucharest. They were launched in 2014 and currently have two product ranges: food supplements (a brand-new line called “The Food Project”) and facial skin care. The five skin care products are based on water and lavender water, different plant oils and herb extracts: there is a make-up remover milk, a toner and three face creams – Detox, Skin Rescue and Time Reversal. 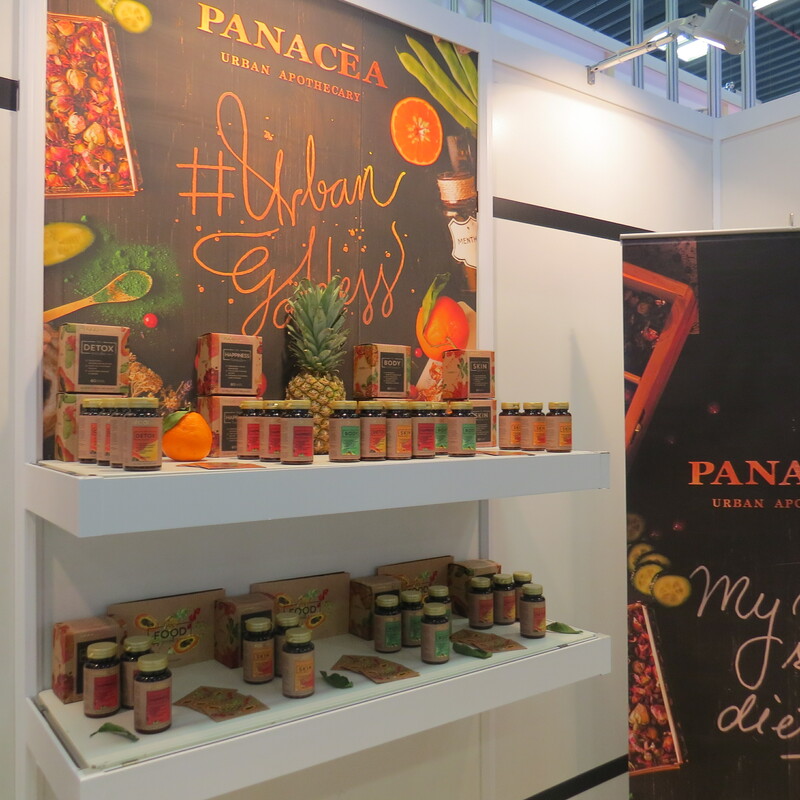 In Romania, Panacea’s products are sold in organic stores, niche perfumeries and online and the company wants to expand into Europe – especially into Germany, France and Spain (three of the key organic markets in Europe). From Plovdiv in Bulgaria was Natural Cosmetic, a natural (not certified organic) beauty brand which was launched in 2007. They were a 5th time exhibitor at Cosmoprof. The products are available in some 17 countries including Korea, China and Taiwan and one of their latest body care ranges, the BioRhythm shower gels (there are four variants: one with moringa oil, one with argan oil, one with aloe vera and the last is formulated with soap nut extract!) were launched at Biofach organic trade show 2015. Amongst the UK exhibitors at Cosmoprof Bologna were quite a few traditional soap and toiletries manufacturers – Bronnley, Yardley’s English Lavender, The English Soap Company, Somerset Toiletry Company and Heathcote & Ivory. Heathcote & Ivory had a large stand in hall #30; they manufacture beautifully packaged bath and body care brands (including licensed brands like Cath Kidston and Accessorize) – or Kaffe Fassett, a range I had first seen in Korean perfumery chain Belport’s Garosu-gil outlet in Seoul last October. 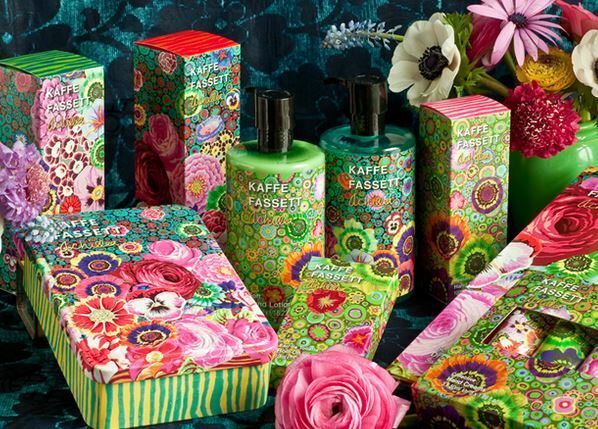 Kaffe Fassett (it’s the name of a fabric designer, by the way) has eye-catching packaging – see the picture above. Since I was already at the Heathcote & Ivory stand I also checked out their other cosmetics ranges and there was another beauty: the limited edition Atlas Silks which will be launched in August 2016. I also saw a number of brands which I’d already met at various other trade shows – soap manufacturer Olivos from Turkey, for example (International Beauty Expo Korea 2015, click here for my article on this trade show) or US colour cosmetics brand Palladio (read more on this brand in my Cosmoprof Hong Kong 2015 article). And now let’s visit Korea and Taiwan! 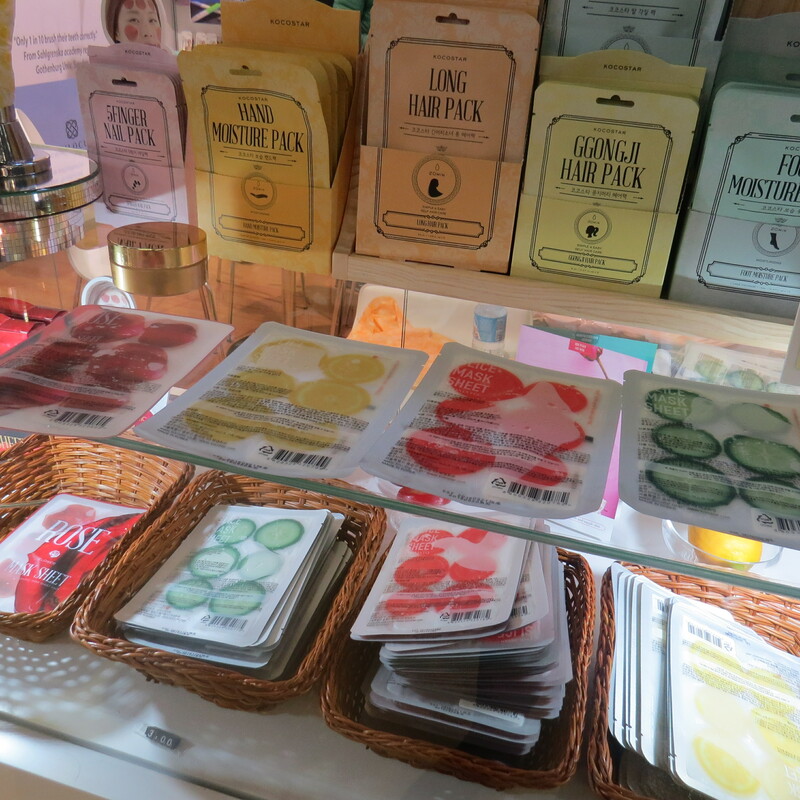 Taiwan (#29A), Korea (#29B) and China (#35C) had their own separate exhibition halls and one of my first visits was to boutique face mask brand MasKingdom in the Taiwanese pavilion. I’ve written about MasKingdom here and here; the company is based in Taipei. What I particularly like about the brand’s concept (quite apart from the beautiful product design!) is the focus on Taiwanese ingredients and heritage. 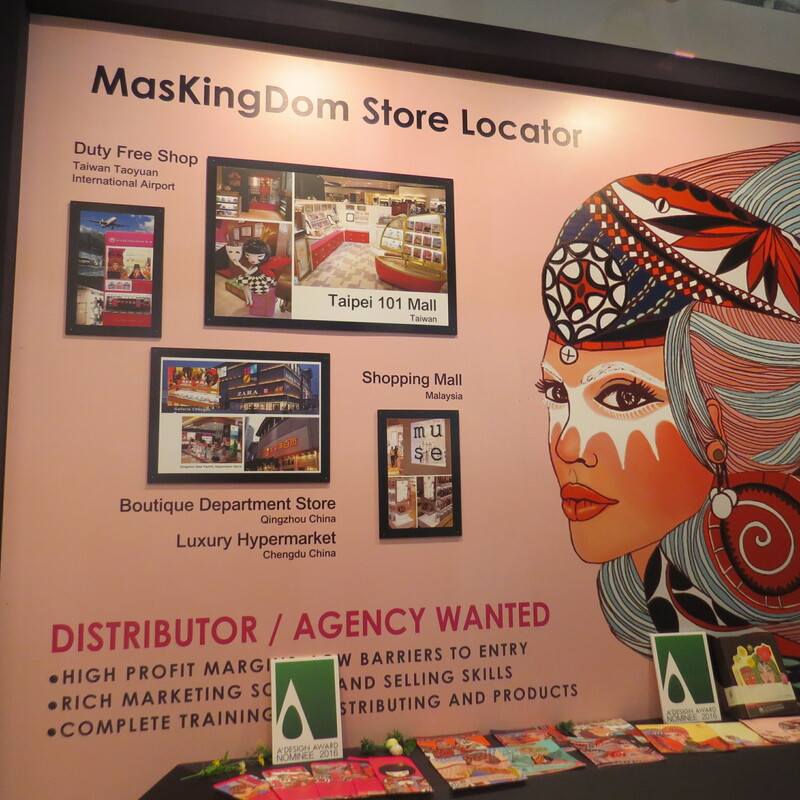 Cosmoprof Bologna was MasKingdom’s first European trade show appearance and they are looking for European distributors. I was told that there will be a new TCM-inspired range of face masks soon and the company is also experimenting with new mask formats – at the exhibition stand they presented the prototype of a clay sheet mask: cellulose as the backing material, covered with a thin layer of kaolin clay. Two of my favourite mask types rolled into one! 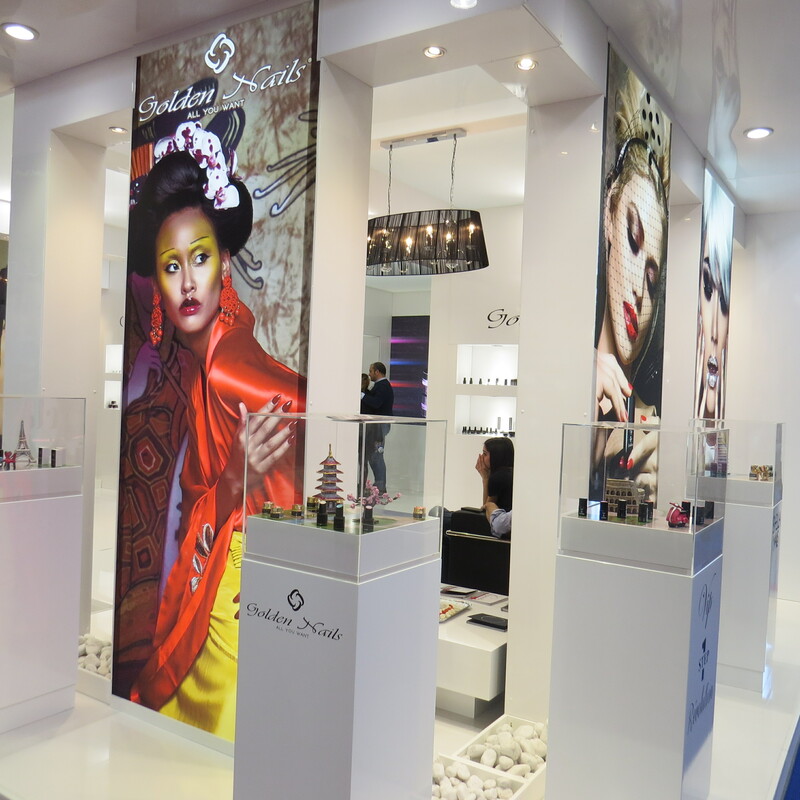 I was also familiar with some of the Korean brands that exhibited at Cosmoprof Bologna 2016. Mask manufacturer Kocostar, for example, I had first met at International Beauty Expo Korea in October 2015 (read my trade show article here). 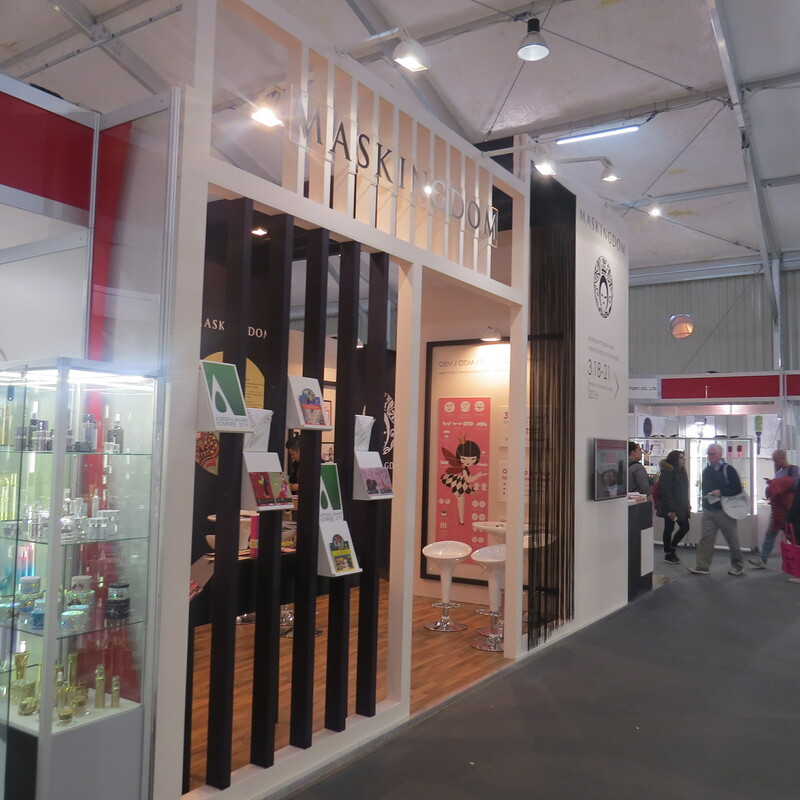 Kocostar was a fourth-time exhibitor at Cosmoprof Bologna; they manufacture sheet masks for different parts of the body – face, eyes, mouth, feet, hands and so on; the company’s exhibition stand at the Korean trade show presented their entire product range which was impressive! 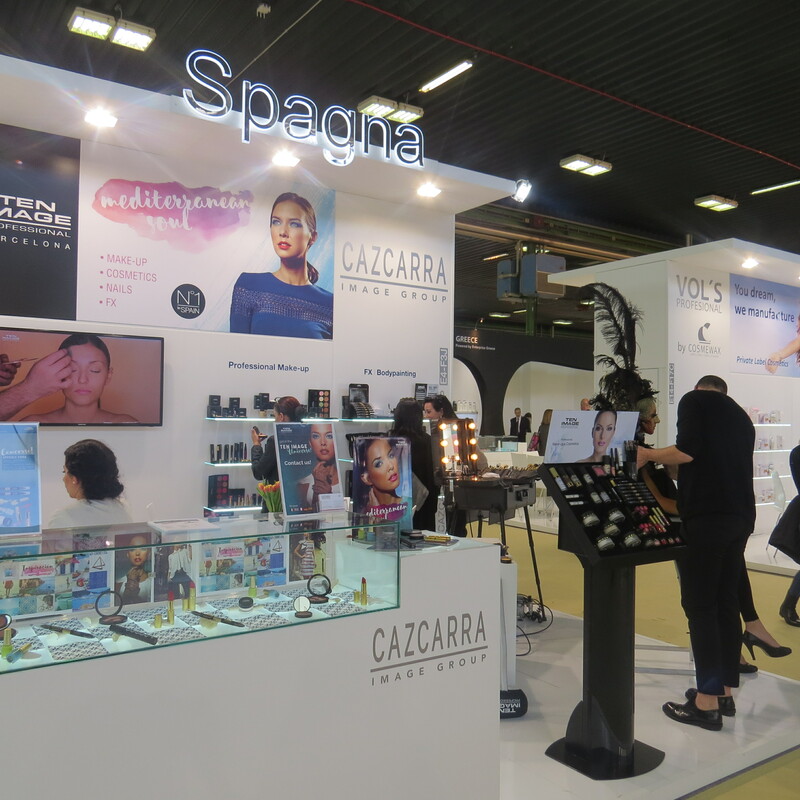 At Cosmoprof Bologna they focused primarily on their face care products. Anyway, Kocostar makes the cute cucumber, lemon and tomato slice masks you see in the picture below, and their latest launches include the Camellia Happy Mask which was introduced in late 2015. And I finally got to meet Chamos, a Korean beauty manufacturer whose Acaci products I first saw in a Singapore Sasa store six years ago! On that Singaporean trip I bought two Acaci face care products (a primer and a two-phase skin solution) and liked them very much. 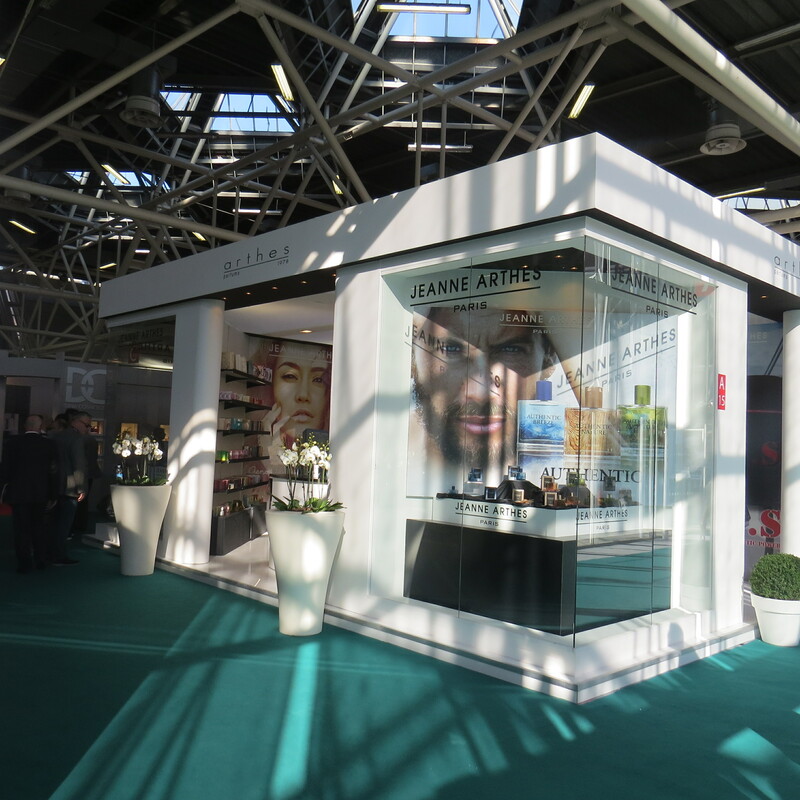 Chamos was a first-time exhibitor at Cosmoprof Bologna 2016 and this was their first European appearance, too. Besides Acaci, the company also manufactures own label products for various brands. Their latest launches in the Acaci range include a Snail Radiance Youth Oil 7 Drop Emulsion and two fermented facial essences – Bifida (yeast) and Galactomyces (fungus). Fungus/mushroom ferment filtrates (especially galactomyces) are a popular and well-established ingredient in Korean beauty (and Asian cosmetics in general). In Europe: not so much! At least, not at the present time. In Germany we do have a few beauty brands that are based on fermented ingredients but none of them use medicinal mushroom extract, I think. 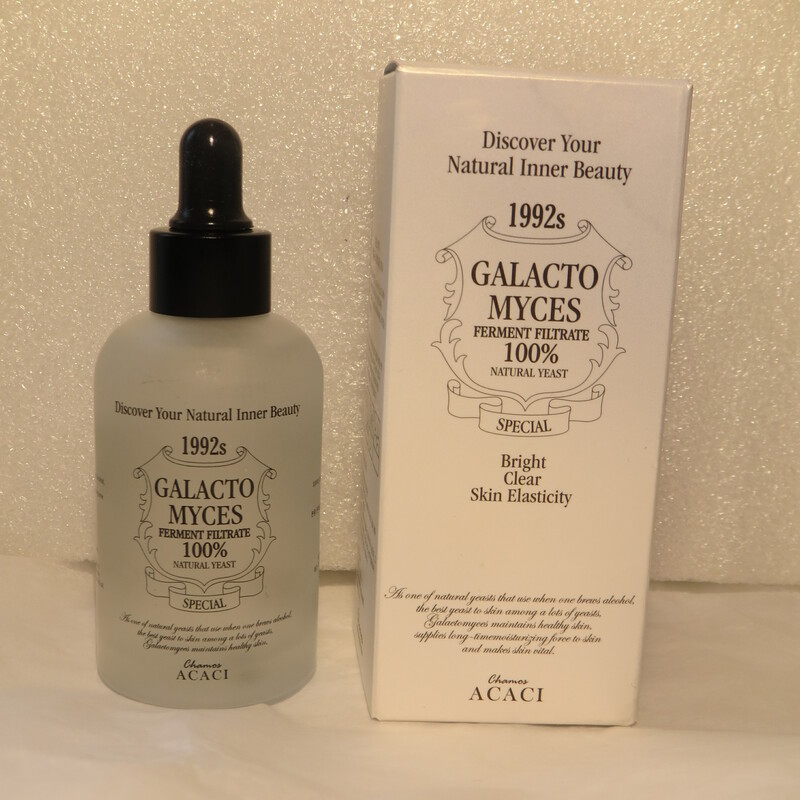 Anyway, I love serums and essences and I was kindly given the Galactomyces essence to try out. I think Chamos will also be at Cosmobeauty Seoul trade show next month (which I’m also attending). Korean mask manufacturer It’s Skin (founded in 2006) has stores all over Seoul and a solid presence in international markets like the US and Canada so I was familiar with this brand already. 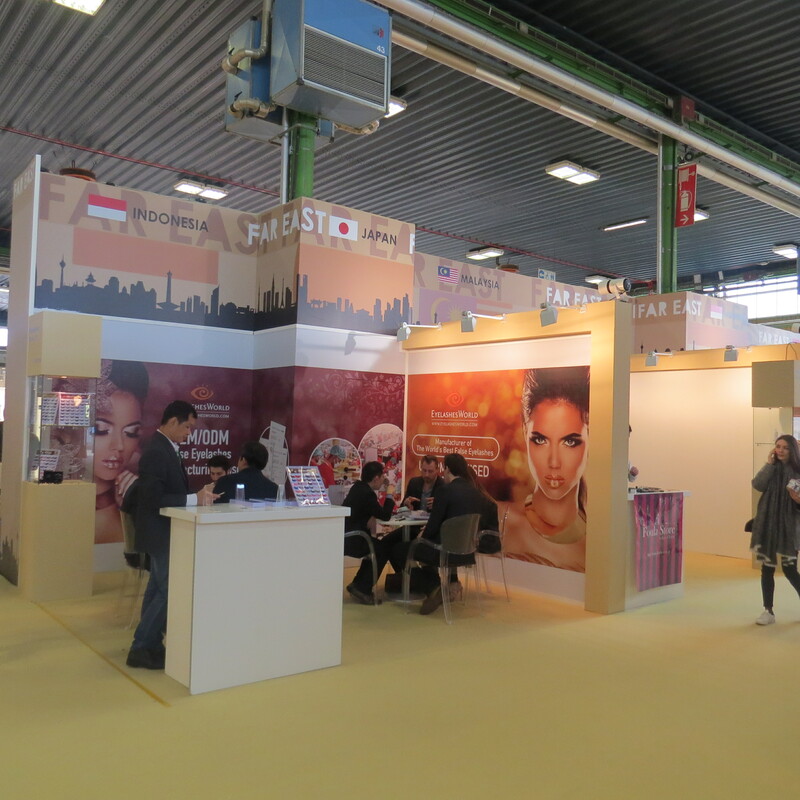 What I DIDN’T know is that It’s Skin’s products are already retailed in several European countries (Russia, Poland, Spain and Estonia) – they were a second-time exhibitor at Cosmoprof Bologna and are obviously looking to further expand their distribution in Europe. Another nice little Korean brand was Econeko. Launched in 2015, Econeko manufactures bar soaps. 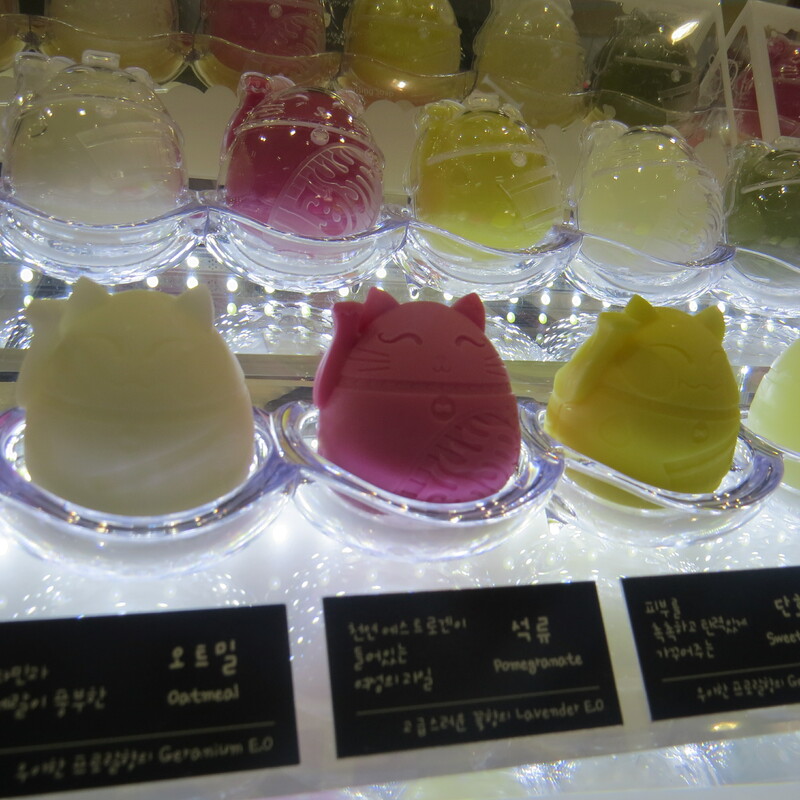 There are 12 different variants which are available in two shapes, as a soap egg and as a small good-luck cat. So cute! I was told that Econeko recently launched in Sephora in China and that the products are also available in Japan and Hong Kong. I’ll have to keep a look-out for Econeko out on my next trip to Tokyo! 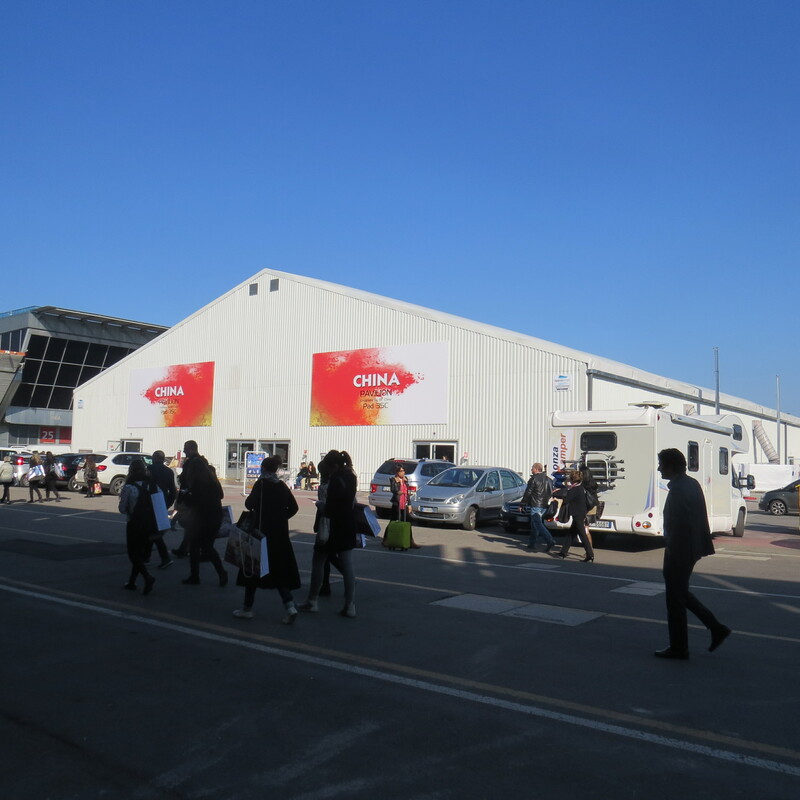 And this is the end of my Cosmoprof Bologna review….there were so many other halls that I didn’t have the chance to visit properly. Well, perhaps next year! 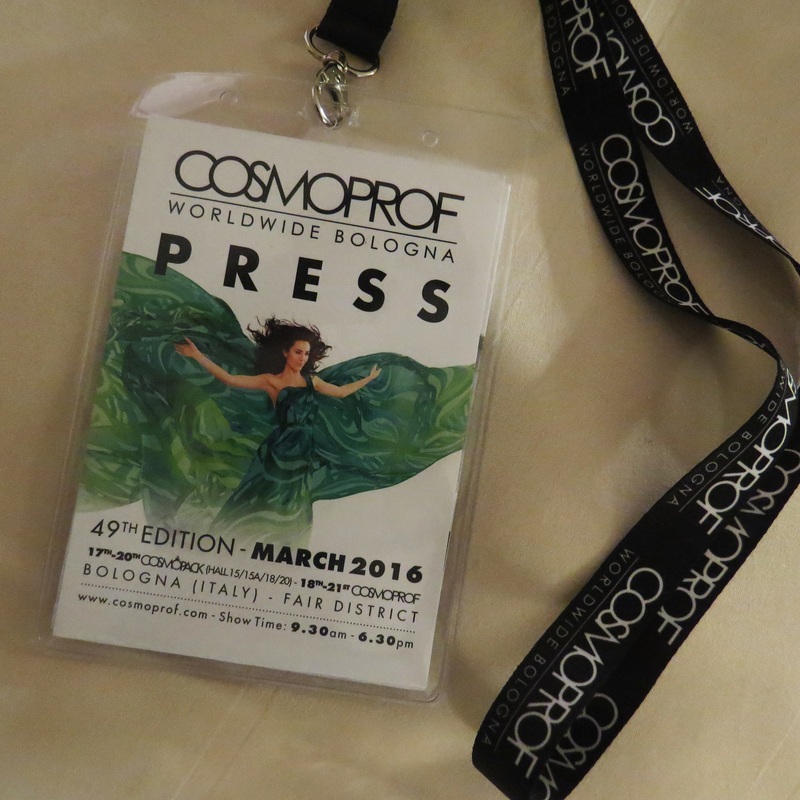 2017 will be Cosmoprof Bologna’s 50th anniversary and I bet organisers BolognaFiere will put on a spectacular event! Here are few more pics from the Hair and Nail halls that I visited on my last afternoon. Enjoy!